Welcome to this old-fashioned dust up between uKit and Wix. On the surface, they’re similar in many ways as you’ll discover in this comparison. But as the saying goes, “The devil is in the detail” and I believe it’s those fine details that’ll help you choose between these two fantastic website builders. 1. Templates – Who’s Designs Will Suit You Best? 2. Ease of Use – Which Offers The Best User Experience? 4. Mobile – How Will Your Site Look on Phones & Tablets? 5. Which Is The Best For Blogging? 7. Customer Support – Who Has Your Back? 8. Pricing – Which Will Suit Your Budget? Allow me to begin by saying both uKit and Wix have a large selection of beautiful, modern templates which is a great start! uKit offers you a choice of 350+ and are very business focused. To help you narrow down your search, you can choose between categories including security, animals, real estate, business & finance, weddings, restaurants, the list continues. In comparison to Wix, the templates are fairly rigid and everything has its place. You can customize the basics such as text, images, and site colors etc. uKit does have an advantage though as they allow you to change your template as many times as you wish (Wix doesn’t). Wix has a larger selection of templates (over 500) and they while many of them are also dedicated to small business, they also cater to a wider audience and have themes for online stores, portfolios, blogs, and events. Wix’s templates are much more flexible than uKits and you can pick up just about anything on the page and move it to wherever you wish. You also have more control over things such fonts, colors, and they also have a built-in image editor to help bring your photo’s to life. Templates summary: Both have hundreds of great-looking designs for you to choose from. uKits are very business focused while Wix casts a wider net and are more customizable. I’m sorry but I highly doubt you’ll be able to make your decision based on ease of use alone as this is one of my favorite features of both uKit and Wix. The main uKit editor allows you to simply point and click to make changes to existing text and images. On the left-hand side of the page, you have the main menu where you can simply drag over elements such as text, blocks, buttons, image galleries, and forms and they will “click” into the nearest available space meaning. This means that you don’t need an eye for design as uKit takes care of it for you. They even offer a “done-for-you option ($100) if all of this sounds too much like hard work! Wix looks a little more daunting when you first step inside and that’s because they offer a wider array of website building tools to help you create and customize your site. The good news is, you can hover over any of the tools and a little pop-up appears explaining exactly what it does. Once you’ve found your feet, you can begin making changes in much the same way as uKit only you’ll also be able to pick up elements on your page and move them to wherever you damn well please in true drag-and-drop style! While Wix doesn’t have a done-for-you option, they do have Wix ADI which allows you to get a customized site by answering a series of questions using artificial intelligence. You’re then free to make any changes manually before your website goes live. Ease of use summary: You’ll be able to dive straight into uKit and begin editing your website. Wix is also very user-friendly but it’ll probably take you a little longer to get your head around all of the tools on offer. When you’re done creating the bulk of your website which is usually made up of text and images, it’s then time to begin adding a little functionality. uKit has plenty of features to help you take your site from a digital brochure to a fully functional business tool and you’ll find them in the widgets section of the main menu. There are contact forms, price lists, featured products, a blog, music, maps, live chat capabilities and of course, social media buttons. Wix isn’t short of features either. In fact, they’re renowned for being one of the most flexible website builders available. You’ll find. Many of the basic tools can be added from inside the main menu such as boxes buttons, tables, video, and social buttons. You’ll also have access to the App Market where you’ll find a digital ton of add-on features (some free, some paid) to customize your site further. Inside you’ll find newsletter tools, online appointment scheduling for clients, hotel & restaurant reservations, live chat, forum capabilities and that’s only scratching the surface. Features summary: uKit has covered their bases when it comes to the essential tools helping you bring your site to life. Wix has a plethora of add-on features available making it the more flexible out of the two. Just bear in mind that many of them you may never use. I love how both website builders display your contact details in plain view making it easier for people to get in touch while on the move. uKit shows them in the header of your site while Wix will display them at the bottom with their mobile action bar. With uKit, you don’t have to give your website a second thought as you’re finished site will automatically shrink down to fit mobile and tablet screens giving you one less thing to worry about. Wix, on the other hand, offers a separate mobile editor so you can customize your site for mobile visitors. You can add elements, remove, and rearrange them. Personally, I prefer this option but I know not everyone will. Mobile summary: Both will look great and function properly on mobile devices. Wix allows you to further customize your mobile site if you wish. 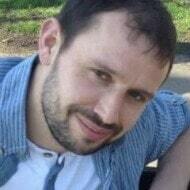 uKit boasts a strong blogging platform which I enjoyed using. You can add images, author name, social sharing buttons, schedule posts, and allow visitors to comment by using a free Disqus add-on. Wix does all of the above and goes a step further by letting you add categories and tags to your posts. You can even customize the look and feel of your blog in true Wix fashion. Blogging summary: uKits blog makes for an excellent integration into your main website but for a standalone blog, Wix pips them to the post thanks to some additional features and the option to customize the look and layout. Despite what you may have read in outdated reviews, uKit now has its own eCommerce platform and has done for a while. It’s also really easy to use which is definitely a bonus. Simply drag over the product icon from the main menu and drop it onto your page. From there, you can upload an image, price, description, and head over to your store settings and you’ll be ready to sell in next to no time. Wix has some of the best eCommerce tools I’ve come across for a small store. You can sell digital products as well as physical, manage your inventory, and offer customer discounts to name just a few of the features. I say a small store because there isn’t a way to import/export products from a spreadsheet which means hours upon hours of tedious work if you’re selling hundreds of products (uKit doesn’t either). eCommerce summary: You can sell products with either but Wix has more powerful tools making it the better option if an online store is your main focus. Ukit has tutorials that’ll walk you through the website creation process and should you run into problems, you can contact the friendly support team through the contact form and they’ll reply by email. Premium+ users (pricing section below) also have access to live chat which is great if you need help quickly. 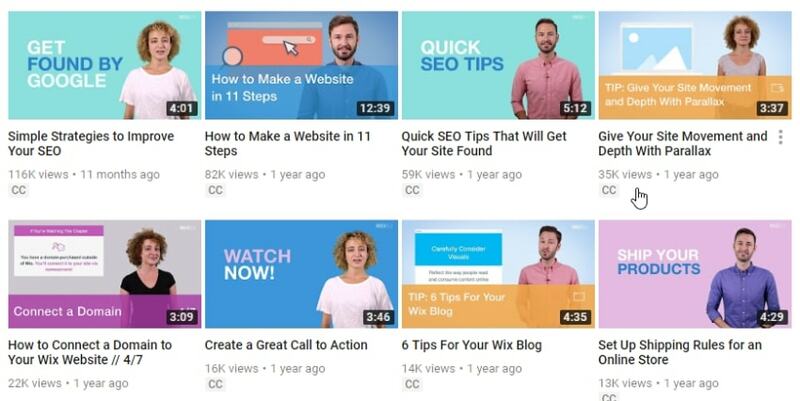 Wix has a plethora of written tutorials as well as step-by-step videos which are available on their YouTube channel. When contacting customer support, you can do so via their forum, email, or you can request a callback. I must say, Wix doesn’t make it easy to locate their contact details and they encourage you to find their own answers first in their knowledge base. However, when you do contact them, you’ll receive a helpful, timely response or at least, I always have. Support summary: uKit offers support via email or live chat (depending on your plan). Wix offers email and request a callback feature but they’re not easy to find. Note: To help compare, the prices below are the monthly costs when you sign up to a 1-year plan and the payment is taken upfront as displayed on their pricing page. Other plan lengths are available. uKit offers a 7-day free trial and after that, you’ll need to upgrade to one of their premium plans if you wish to continue. I recommend starting with their cheapest plan at just $4/month which is darn cheap and not just compared to Wix, but most other website builders too! You can always upgrade later to the Premium+ package which costs $8/month if you want to unlock additional features such as premium design templates and live chat support. If you’re selling products, you’ll need the eCommerce plan at $9.60/month. Wix has a free plan and their cheapest premium plan comes in at $5/month but to be honest, it isn’t ideal as you’ll have ads displayed on your site. For a basic business website, you’ll be looking at the Combo plan at $10/month and for an online store $17/month. Wix will throw in a custom domain name (web address) free for the first year which will save you approx $20. Pricing summary: When it comes to price, uKit is the obvious winner. As I said at the beginning, uKit and Wix have many things in common as we’ve discovered here today. They’re both very user-friendly, they have hundreds of great looking templates and all of the essential features including a blog and eCommerce tools. uKit allows you to get off to a quicker start as there aren’t as many “bells & whistles” and it’s also the cheapest out of the two platforms. Wix has a wider range of customizable templates and add-on features making it easily the more flexible between the two. Also the stronger option for a standalone blog or store. Which one will you choose? I’m dying to know so let me know in the comments section below along with your reasons why! UKIT Pricing page is deceitful-UNLIMITED WEBSITES is not possible on my own domains. Wix is much better choice on my opinion, because it’s not that more expensive considering it is only for one website.